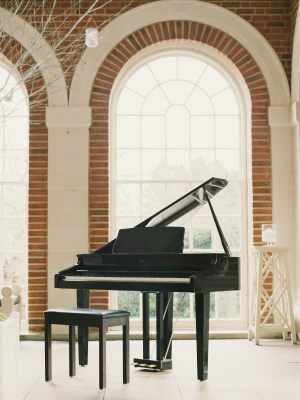 "Your mini grand piano is a masterpiece and it just looked divine at the wedding breakfast!" Don’t worry if your venue doesn’t have a suitable piano. 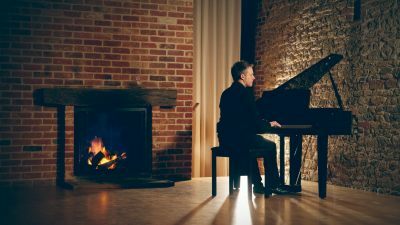 I can provide an electronic piano which perfectly recreates the sound of a grand piano – either a standard keyboard-style piano at no extra charge, or you can hire this beautiful high-gloss black mini grand piano. It looks and sounds fantastic in any setting – inside or outside – creating a real sense of occasion for your wedding ceremony, reception or any other event.